The Model 2480 is a very lightweight tool which provides for the high-speed installation of a wide range of HuckBolt and Huck blind bolt fasteners. The tool has only one moving part, resulting in outstanding reliability and minimal maintenance. The tight centerline-to-edge measurement of the Model 2480 and its light weight (2.21 pounds) allow for its use in limited clearance areas. 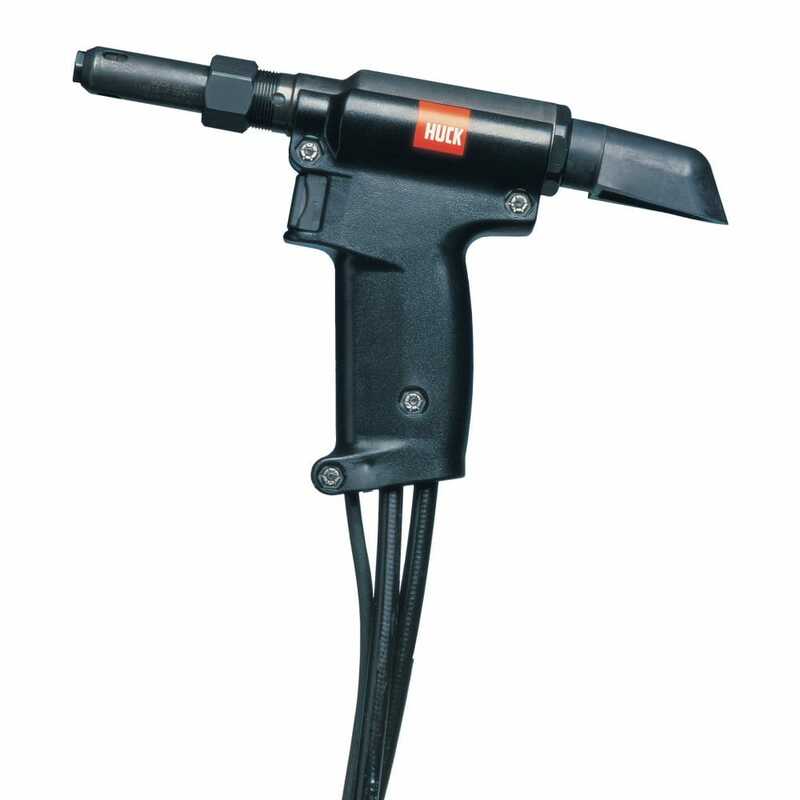 Contact us online or call (866)748-3876 for ordering and shipping information on the Huck 2480 Hydraulic Tool / Huck Model 2480 Rivet Gun. Have Questions about Huck Hydraulic Fastener Tools? Contact us online or call toll-free (866)748-3876 in the U.S. and Canada for help with the Huck 2480 Hydraulic Tool / Huck Model 2480 Rivet Gun. Download the PDF version of our Huck guns and tools catalog to view all Huck fasteners and tools. Copyright © 2010 - 2019 Byler Rivet, an Authorized Distributor of Huck Rivet Guns, Tools and Tooling Equipment. All Rights Reserved. Website services Pro Online Media. Visit our Huck fasteners and rivets site for blind rivets, lock bolts and the Huck 360 Powerbolt that work with your Huck tooling products or learn about the Huck 940 Repair Kit & System. Expanded information on Huck fasteners and rivet tooling can be found at Byler Rivet Supply - a quality fastener and tool distributor. Byler Rivet Supply has been in business since 1974 and stocks many different types of rivets, as well as rivet guns, riveters and tooling parts. In addition, Byler Rivet Supply has websites for How to Rivet and POP tools.